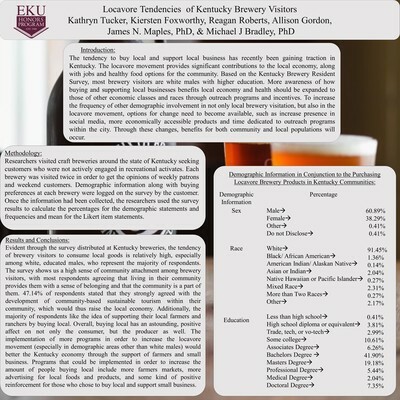 "Locavore Tendencies of Kentucky Brewery Visitors" by Kathryn E. Tucker, Kiersten D. Foxworthy et al. 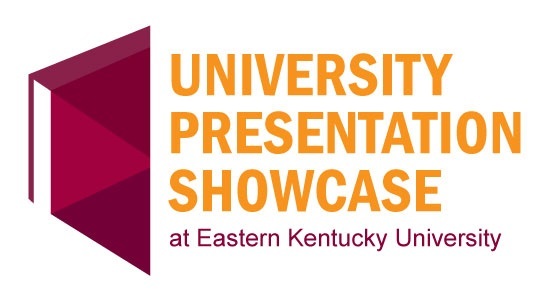 The tendency to buy local and support local business has recently been gaining traction in Kentucky. The locavore movement provides significant contributions to the local economy, along with jobs and healthy food options for the community. Individuals who frequent local breweries have strong, positive opinions about buying and supporting local business because they feel as though their support may directly impact their community on a socioeconomic level. A survey given at local breweries reveals that even though buying local may be more expensive, local food is of better quality, healthier, more palatable, and has a positive effect on the local community. Based on the Kentucky Brewery Resident Survey, most brewery visitors are white males with higher education. More awareness of how buying and supporting local businesses benefits local economy and health should be expanded to those of other economic classes and races through outreach programs and incentives. To increase the frequency of other demographic involvement in not only local brewery visitation, but also in the locavore movement, options for change need to become available, such as increased presence in social media, more economically accessible products and time dedicated to outreach programs within the city. Through these changes, benefits for both community and local populations will occur.